Marlborough Plastics’ injection molding services for military applications meet MIL Spec 45208 and First Article Inspection. For nearly 60 years, we have worked closely with defense, military and tactical partners to produce the strong and lightweight parts required for their applications. 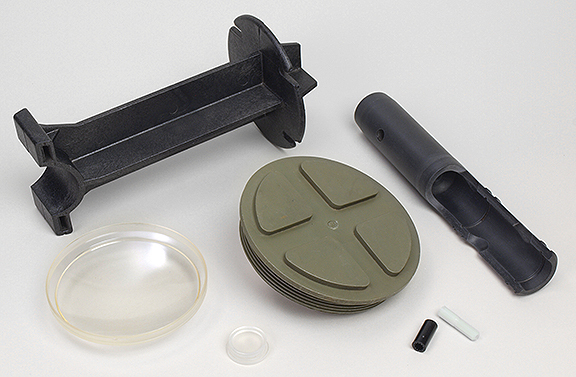 With durability and precision as a main goal for the final, finished parts, we have the experience to provide the military injection molding services to meet your needs. At Marlborough Plastics, our integrated capabilities allow us to assist you from the concept phase of your project into prototyping, implementation and beyond. With years of experience in both the private and military sectors, as well as industry-leading tooling and rapid-phase product development, Marlborough Plastics is equipped to solve your highly complex injection molding problems.